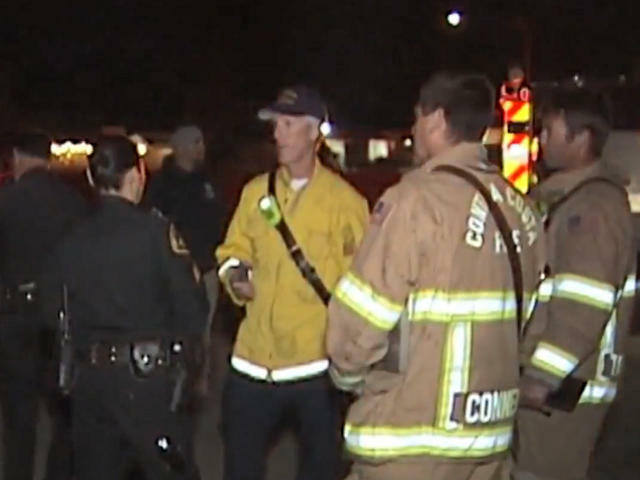 BAY POINT, Calif. -- A power line failure Wednesday night sparked a grass fire near here, triggering the evacuation of a half-mile area and threatening a major Chevron natural gas pipeline junction, CBS San Francisco reports. Local fire officials say some 4,000 people cleared out of 1,400 homes. Chevron officials said they were contacted at around 8 p.m. to notify them of the blaze. A company statement said they "immediately shut down the line and dispatched a field team to investigate," as well as starting emergency response procedures. The Sheriff's Office used its Community Warning System to tell residents to "leave now" and go to an evacuation center, taking only "essential items" with them.